The YWCA Houston is proud to bring you the first installment of the “Volunteer Spotlight.” In each edition of VOLUNTEER SPOTLIGHT, we will highlight a volunteer who has contributed to YWCA of Houston’s mission to serve. 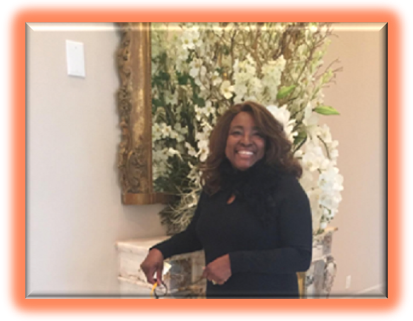 YWCA Houston would like to express our sincere gratitude to Daler Boutte` Wade as our debut Volunteer Spotlight. Daler has volunteered her time as the YWCA’s Outstanding Women’s Luncheon’s Silent Auction Chair for the past two years. She has dedicated countless hours to secure auction items and recruited key volunteers to ensure the auctions were a success. In addition, Daler was instrumental in recruiting The Missouri City Chapter of Jack and Jill were she is a proud member to provide health and wellness education to our housing residents for the past two years. We are sincerely grateful for her dedication and support to our agency. Her support has made a difference for our staff and the women and children we serve. To learn more about volunteer opportunities or to contact volunteer coordinator at 713-640-6812 or volunteers@ywcahouston.org.